You can upgrade to a one-year membership at any time. The system will prorate your membership based on what you have paid in your current term. Here is how to do it. 1. 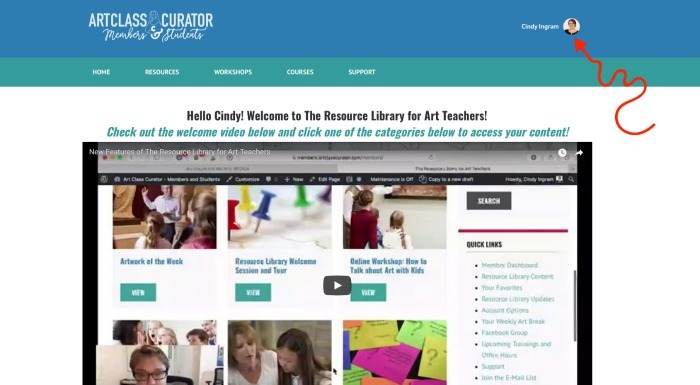 Log into your account at members.artclasscurator.com. 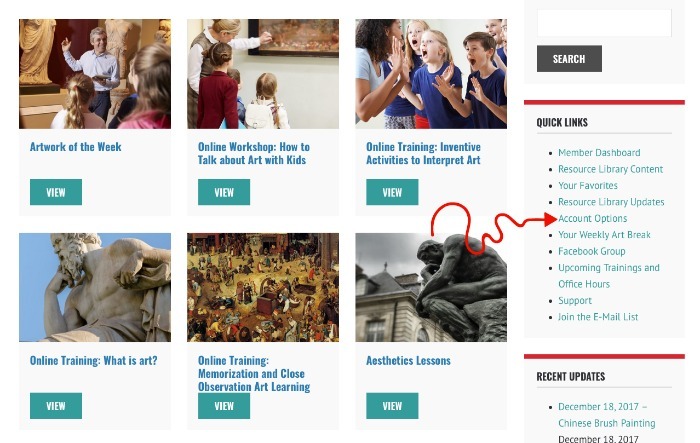 When you are logged out, there is a log-in box on the HOME page https://members.artclasscurator.com. 2. Click the picture (or picture icon) in the upper right corner, and then click "Account" in the menu bar, OR click Click “Account Options” in the sidebar from any Resource Library page. 6. Enter your payment information and click "Join". At that point, you will be taken either to PayPal or to the Credit Card screen to complete your transaction. Do not choose school invoice/PO on this step. 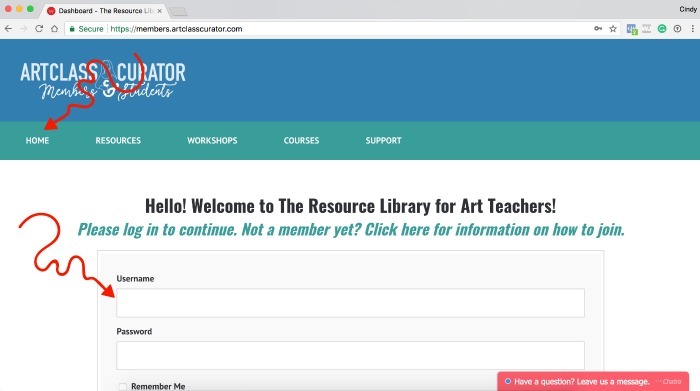 If you want to convert your membership to a school payment, please email support@artclasscurator.com.